Just about all consumers receive magazine subscription mailings every year packed with contest offerings, product offers, catalogs, and stamp sheets. So make sure your mailing promotions are attractive and compelling enough to be read, rather than laying in the heap of unwanted mails or thrown straight to the trashcan. Direct mailing, depending on the size and scope, can be a huge expense. The mailings could cost upwards of sixty cents apiece. Therefore, there is little room for error in the promotional message. You must be able to present your product well, make the offer enticing enough for the recipient to actually buy your product. Experiment with various approaches. The key elements that are critical to test are the list and your offer — these are the two elements that will have the biggest impact on your results. After all, the most effective marketing strategy is all about targeting the right customer, at the right time with the right offer. Big firms such as Publisher’s Clearing House, which mails about 100 million pieces a year, test various packages to see what ideas work. For example, they have found out that more people respond favorably to a manila envelope than to a white one. Providing a sweepstakes number that could be hung from the television resulted in a 5-percent “lift,” that is, an increase in gross revenues. A tilted postage-paid stamp also improved response. Another idea that paid off was telling recipients they had to respond if they wanted to remain on the mailing list. Not even direct mail “experts” know all the reasons why people respond better to one mailing than to another. The content used by one may not work for another; or the combination of graphics and colors used may be too overpowering for another product. You need to find the best combination of offer, best type of copy and graphics, best type of lists that will help increase the percentage of responses. Lesson for neophyte entrepreneurs: Test different direct-mail methods, varying the messages as well as the format. And hope that you hit the winning formula. 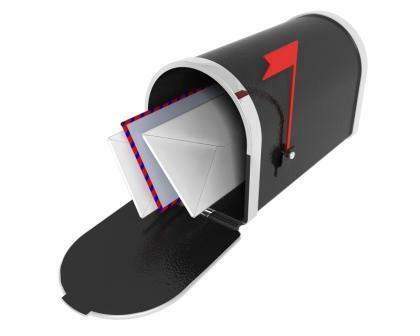 Direct Mail Is NOT Dead: Grow your business with targeted direct mail.